If you love taking a paint brush to a new colour, painting out a stroke, watching the colour flow across your paper and experiencing the joy of a beautiful new watercolour, then you are really going to enjoy this! 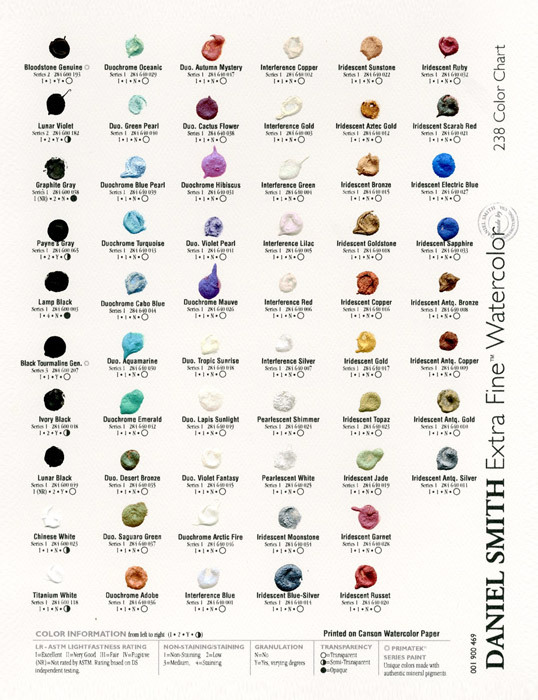 Now you can try almost every colour in the vast and innovative Daniel Smith line! 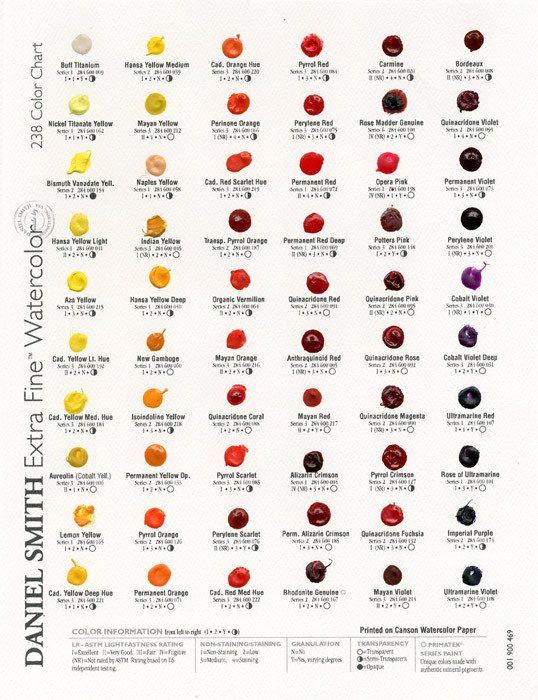 Provided on Watercolour Paper, Daniel Smith's NEW Watercolour Dot Chart includes the painting properties for every colour with a paintable dot you can try out for yourself! 48 colors from our Luminescent collection; 20 Iridescent, 7 Interference, 19 Duochrome plus Pearlescent Shimmer and Pearlescent White. 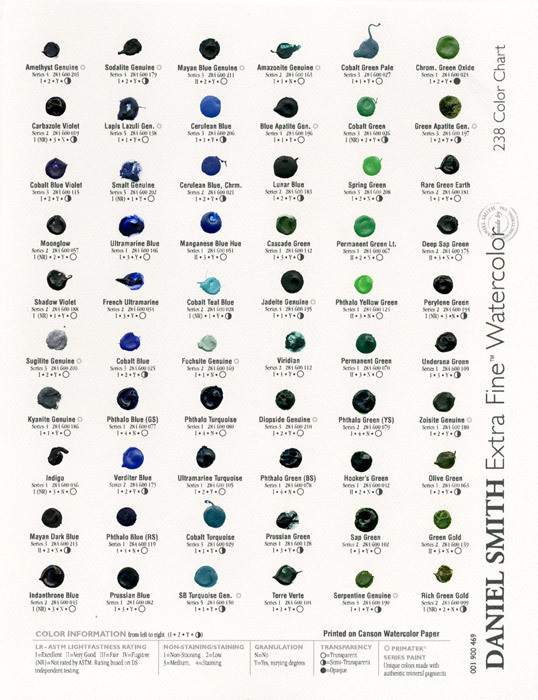 Plus, 140 of our Extra Fine Watercolors. CREATE your Own Reference Book! 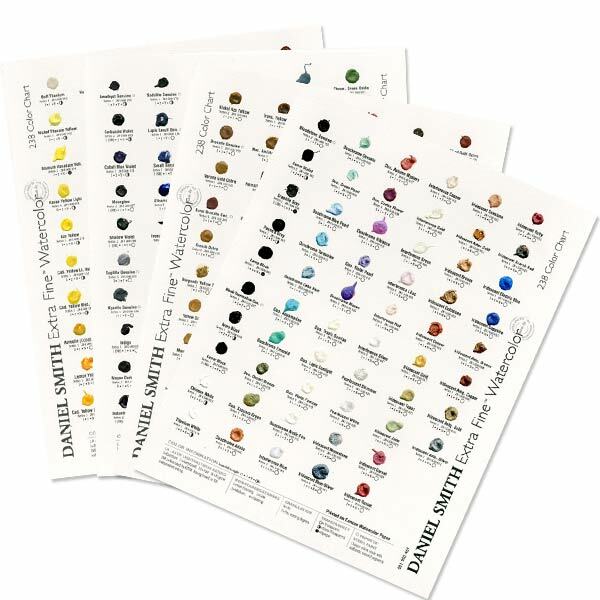 Developing an easy-to-use personal reference guide of your watercolours is always a good idea, and our 238 Try-It Color Sheet is a great way to get started! Cut the 238 Try-It Colour Sheet into individual reference tabs so that each of the 238 watercolour dots are on their own rectangle. 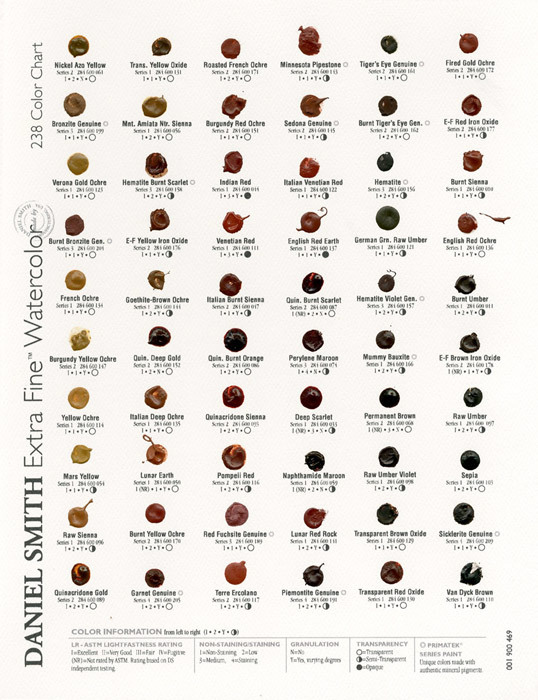 Be sure to preserve the information (watercolour name, series number, code number, and colour information) printed on the paper for each colour. Using sheets of watercolour paper or pages in a Watercolour Journal, staple each reference rectangle onto a page. 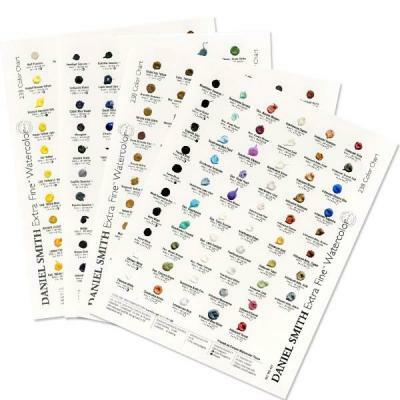 Please note: we do not stock every colour on this chart but any colour can be ordered in.